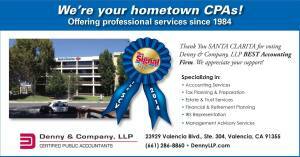 Denny & Company, LLP has moved! 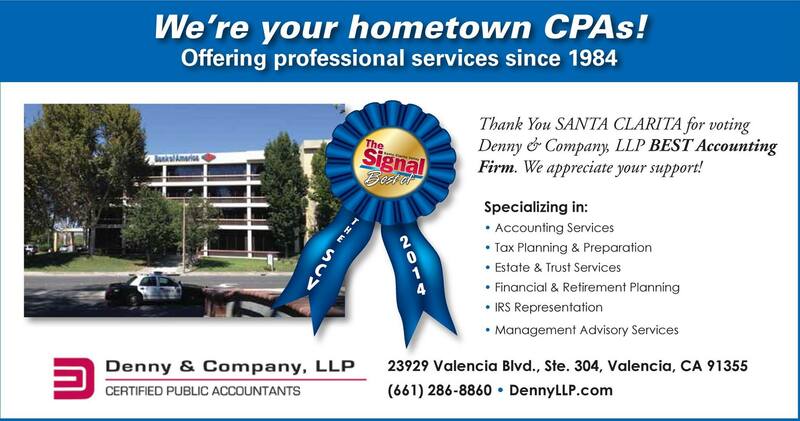 Thank you, Santa Clarita, for voting us “Best Accounting Firm” for 2014 in the Santa Clarita Valley Signal’s recent polling. We are humbled but happy to be a part of this wonderful, vibrant community.